St James’s Hospital Staff Members update us on what was purchased in their Small Grants Competition project/initiative and what benefit it brought to their patients, visitors and staff. €50,000 was awarded to 43 successful initiatives in the Foundation’s 2016/2017 Small Grants Competition. The funds to provide these grants represent unsolicited general donations. 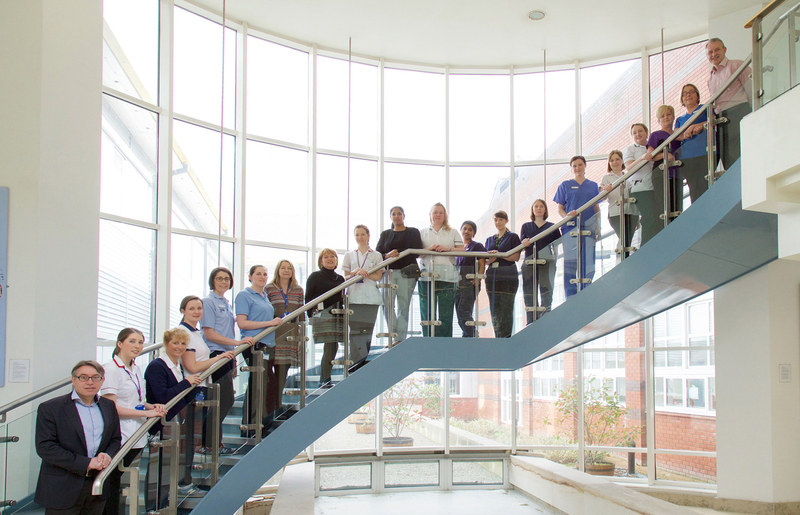 Through this programme, now in its 12th year and which is open to all members of St James’s Hospital staff, the Foundation aims to support small-scale initiatives and projects within the hospital that will improve how patients are treated and/or their welfare or general wellbeing, education and research and the general environment of the campus for the benefit of patients, visitors and all staff. In 2016/2017, the Foundation’s Grants Committee has approved grants of between €500 and €2,500 totalling €50,000 for 43 purchases and initiatives – a full list of grantees and their initiatives is available to download here. A bed table is a piece of furniture to fit over a bed or chair to provide the patient with easy access to whatever they need. In ICU it is more than that. During critical illness, patients are completely dependent and are extremely weak. 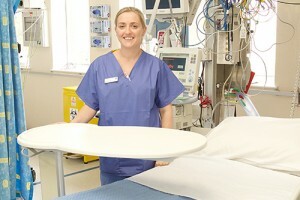 As recovery begins, a bed table enables nurses to facilitate the patients’ rehabilitation. The patient can reach for a mouth swab, glasses, a card or phone, a glass of water or a welcome cup of tea. In this, the patient begins to exercise their muscles and regain their strength. It provides us and the patients with hope and encouragement that they’re recovering and delights families by seeing their loved one become independent once again. Thank you for your generous donation. It means so much. Thanks to the SJH foundation we have been able to improve communication around patient dietary needs within our team. We are now using whiteboards beside every patient’s bed to display dietary requirements. This allows any team member to update the boards as and when decisions are made about the patient’s diet e.g. on ward rounds. This saves lots of time spent rummaging around for signs, reduces interruptions to staff and improves patient experience as there is greater clarity about their needs. We are delighted with the new system and have had great feedback from staff and patients. 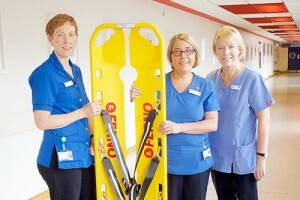 Having a Scoop Stretcher in the Department is a great reassurance to the whole Nursing Team. In OPD, we know that in the event of a patient emergency we have a safe secure way of transferring a patient to a trolley. We hope we will rarely be required to use it but to be honest it is a blessing to have it as part of our necessary equipment. The award made it possible to purchase two wheelchairs for the NCC (National Coagulation Centre). Patients with reduced mobility have benefited in that the wheelchairs are available for relatives to bring the patients to and from the department. 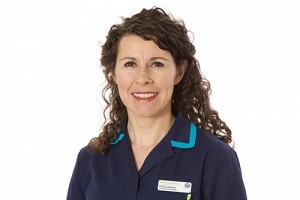 This has enhanced the patients comfort and experience of attending our service.